A 'cow' on a roundabout in Polegate is reportedly causing delays. According to traffic reports this evening, a cow has been sighted on the Cop Hall roundabout in Polegate, which links the A22 and A27. Sussex Police has since tweeted: "Persistent problem over the past few days with a herd of cows which keep escaping on to the A27 at #Polegate. Anybody missing some cows? Or know who might be? "We're all out of bovine puns & we'd really like to keep them- and you- safe." 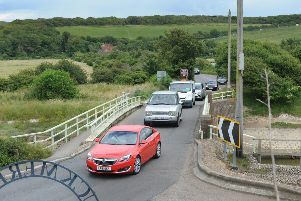 The traffic has been made worse due to temporary traffic lights on the Polegate Bypass due to a collision yesterday.